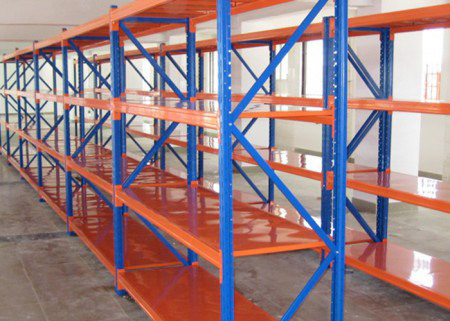 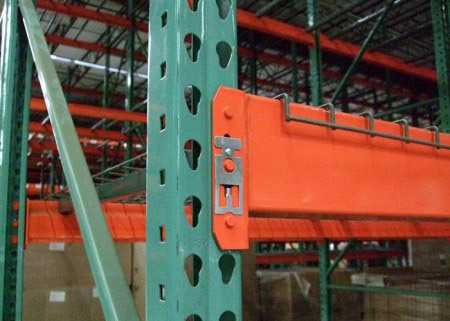 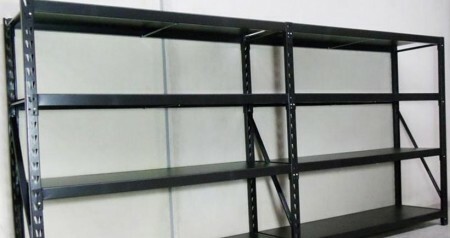 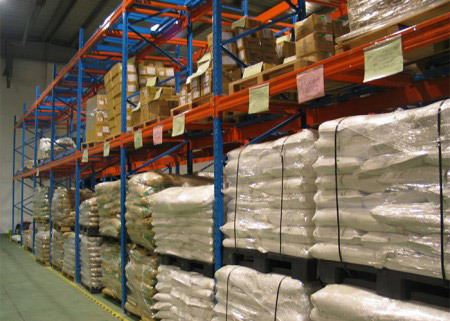 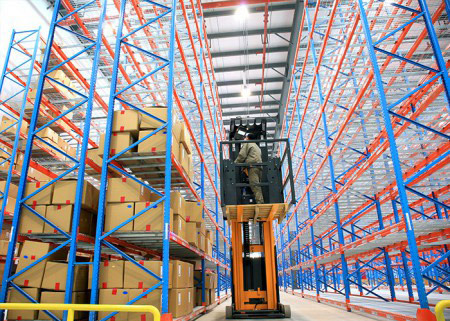 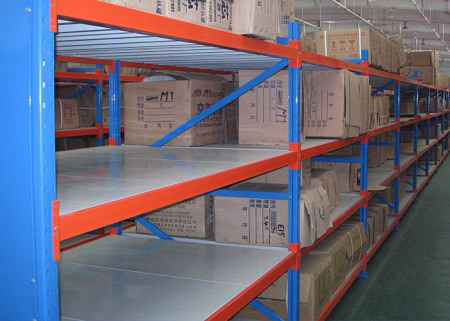 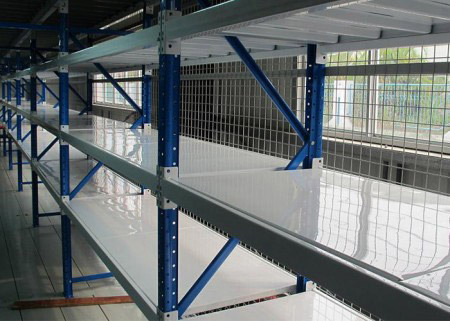 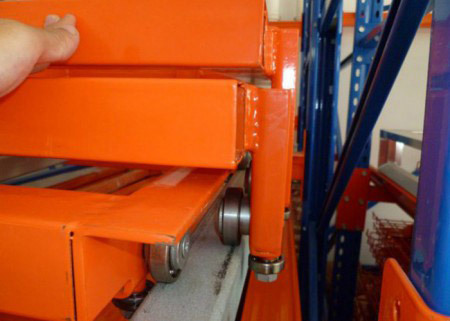 Push back pallet racking is evolved from pallet racking, it is a form of high-density storage. 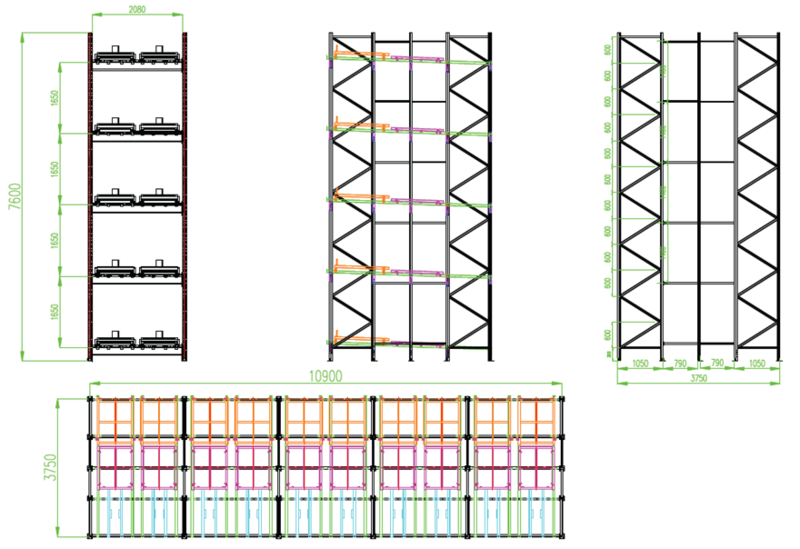 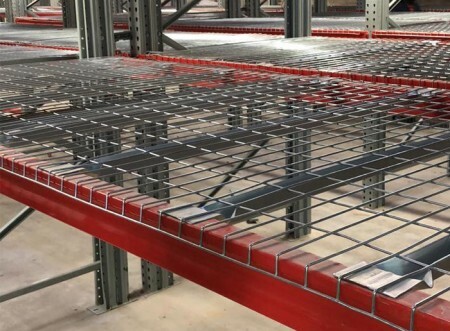 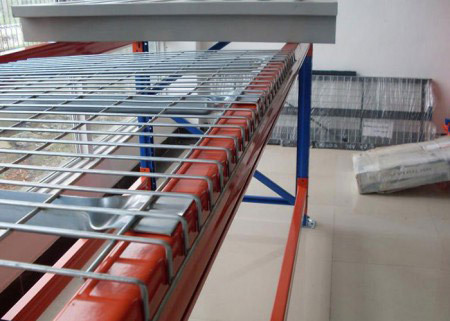 Push Back Pallet Racking Systems is mainly consist of frame, beam, row spacer, frame protector, upright protector, wire decking, steel panel, pallet support etc. 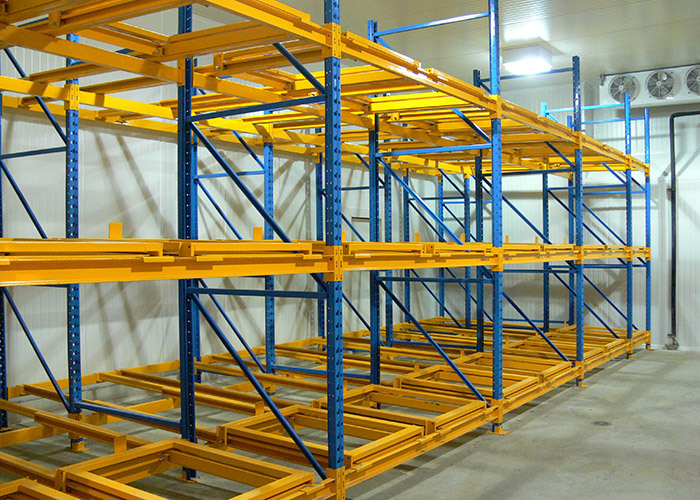 The push back racking system is ideal for storing multiple pallets of the same SKU, and each lane can accommodate 2 to 6 pallets. 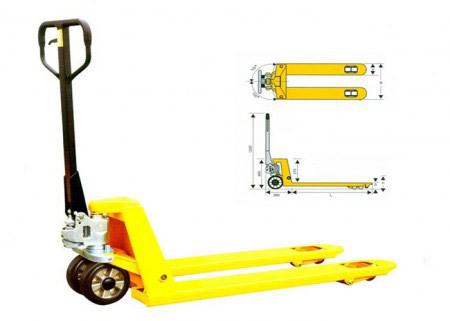 The push back rack system is suitable for all types of forklifts, including balance scales, narrow-aisle and swing reach. 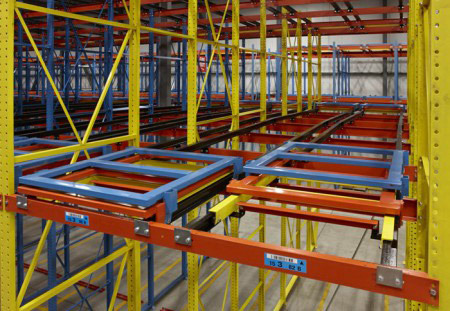 Because each pallet lane operates independently, push back pallet storage offers more flexible pallet storage options than drive-in racking, which is the best option for storing only a few pallet for many SKUs. 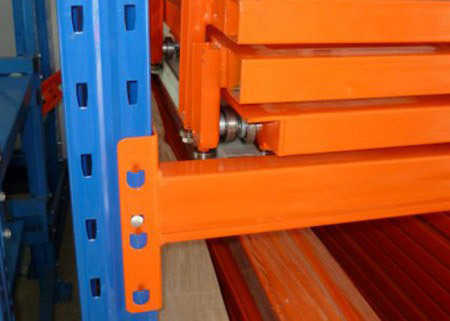 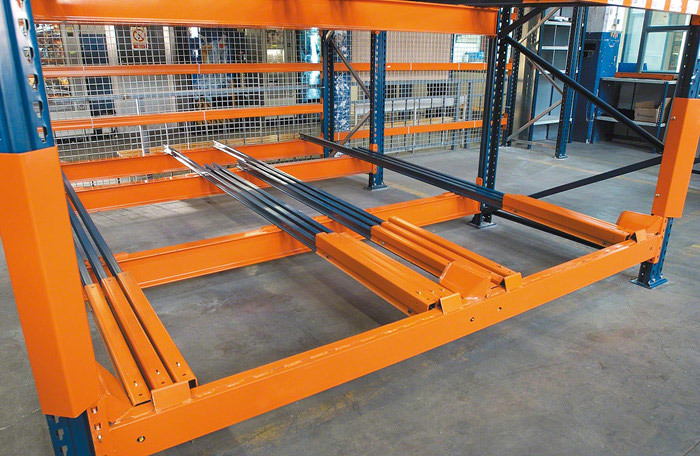 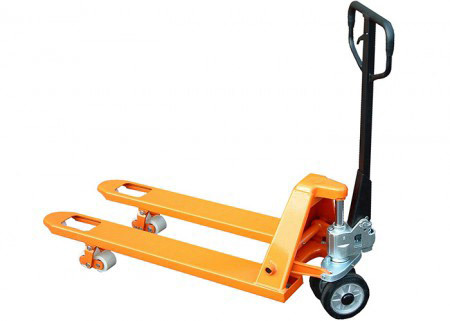 In the push back rack system, the lift truck never actually enters the rack system, thereby the chance of damage to the racks are avoided. 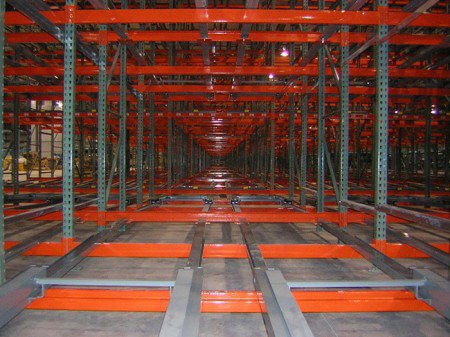 High densities – three and four deep systems are common, which allows blocks of 6 or 8 deep with back to back rows. 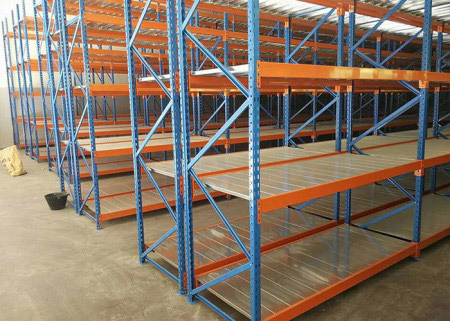 Depths of up to 6 deep are also available,and the costs are in a higher level. 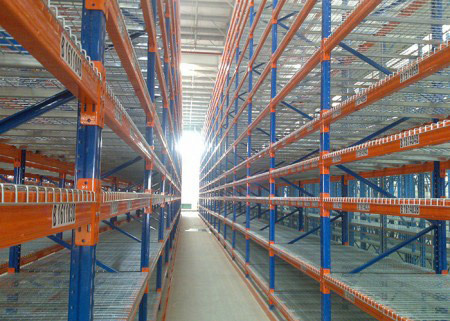 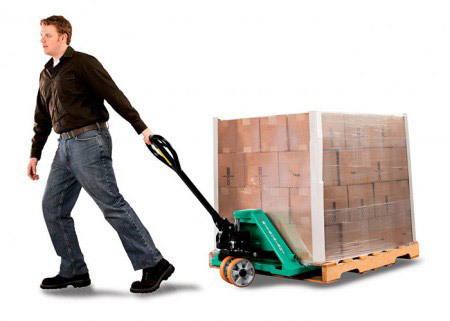 Efficiency – Drive-In – trucks do not need to drive into rack loads come to them at the pick face. 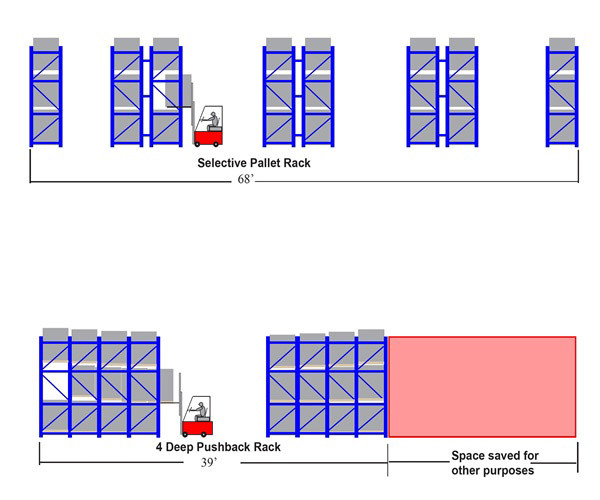 Less rack – Truck and product damage vs. Drive-In- with no trucks driving inside rack.